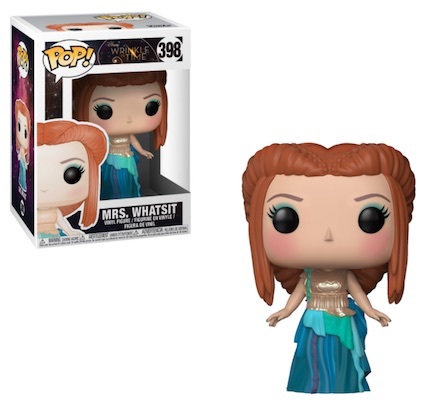 A Wrinkle in Time, the 1962 sci-fi fantasy novel by Madeleine L'Engle, is brought to life with Disney's take on the story, and the Funko Pop A Wrinkle in Time figures. 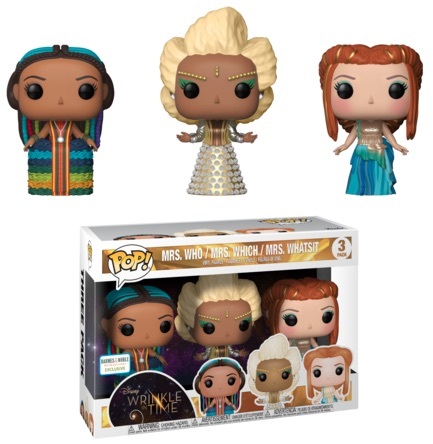 Funko Pop A Wrinkle in Time features the three immortal subjects played by big-name actresses in the Disney film. Dressed in an elaborate gold and silver gown, Mrs. Which (Oprah Winfrey) has a large blonde hairdo. The red-haired Mrs. Whatsit (Reese Witherspoon) wears a flowing dress in multiple shades of blue. 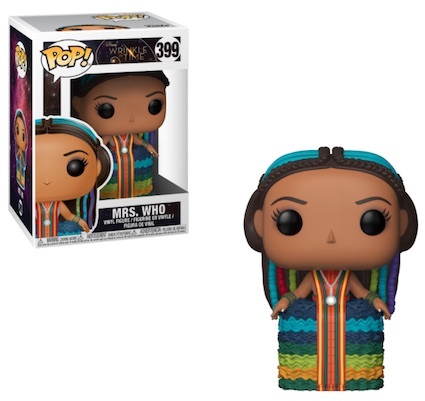 There is also Mrs. Who, portrayed by Mindy Kaling, with a rainbow-colored outfit and scarf, and dark hair. Shop A Wrinkle in Time Pop Figures on Entertainment Earth. The three astral travelers come in individual boxes and as a three-pack combo set that is exclusive to Barnes & Noble. Although most films grow the Pop! 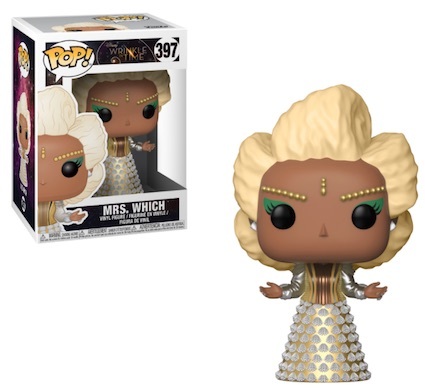 Movies line, Funko Pop A Wrinkle in Time is numbered into Pop! Disney. Funko pop A wrinkle in time 3 pack Barnes and Noble exclusive.